Twenty years ago, this leading academic considered Holocaust deniers ‘fringe extremists.’ That was before years of research and writing—and one very public court case. Deborah Lipstadt loves a good fight. As a teenager she marched with her mother for civil rights. At dinner parties, she vociferously debates politics and Jewish issues. Inspired by her biblical namesake, Lipstadt has always reveled in defending truth and battling injustice. Even armed with all that feistiness, Lipstadt could not have foreseen the fight of her life: against British Holocaust denier David Irving. In 1995, Irving filed a libel suit against Lipstadt and Penguin UK, the publisher of her book, Denying the Holocaust: The Growing Assault on Truth and Memory, which describes Irving as a “Hitler partisan wearing blinkers” who “distorted evidence…manipulated documents…and misrepresented data in order to reach historically untenable conclusions.” When the case finally closed in the British courts on April 11, 2000, the judge unambiguously concluded that Lipstadt had told the truth. Lipstadt’s memoir, history on Trial: My Day in Court with a Holocaust Denier (Ecco/ HarperPerennial), received a National Jewish Book Award last year. “Our objective was not to prove the Holocaust had happened,” she writes. “No court was needed to prove that. Our job was to prove…that Irving had lied about the Holocaust and had done so out of anti-Semitic motives.” Irving’s books argue that Hitler did not have an organized plan of annihilation and that Jews died in the camps of typhus or other illnesses. “If someone had to fight the battle, I’m glad it was me,” says Lipstadt, 59. “I’m glad it was a woman, because stereotypes and sexism still exist.” Being single, she adds, allowed her to spend extended time in London and devote vast amounts of time to the case. Lipstadt’s strong, no-nonsense attitude—splashed with humor—comes across in person. To an interview at a New York coffee shop, steps away from where her 91-year-old mother still lives, she wears no make-up; her red hair is cut short, and she tops her black blouse and Swiss-dotted black skirt with a straw hat. Lipstadt, professor of modern Jewish and Holocaust studies and director of Jewish studies at Emory University in Atlanta, flies up to visit her mother about every three weeks. Had the interview been in her own surroundings, she says, she would have pointed out her collection of moveable folk toys along with her Judaica favorites—a fiber-work sculpture by the artist Laurie Gross based on a Lipstadt short story about being the 10th in a minyan and photographs with refuseniks she met on a life-changing trip to the Soviet Union in 1972. Not only did the refuseniks impress her as the “bravest and freest people” she had ever met, but, in contrast to world reaction to the Holocaust, Jews worldwide took interest in their plight. She chronicled how the media downplayed the Holocaust in her first book, Beyond Belief: The American Press and the Coming of the Holocaust (Touchstone). Today, she frequently visits the former Soviet Union, often to lecture on the history of Soviet anti-Semitism. Lipstadt is now much in demand on the lecture circuit and as a commentator. Instead of silencing her, Irving’s case has catapulted her onto the international stage. She recently returned from a two-month teaching stint at the Pontifical Gregorian University in Rome. History on Trial has even been optioned for a movie. Grace Cohen Grossman, a close friend who has known Lipstadt since both were students at the Hebrew University of Jerusalem almost 40 years ago, flew to England for the first week of the three-month trial. “The wall of data collected by the legal team was in notebooks literally eight feet high,” says Grossman, senior curator at the Skirball Cultural Center in Los Angeles. “Deborah was involved in every detail.” Grossman characterizes Lipstadt as open, honest, intrepid and forthright. “Deborah is irrepressible,” says David Ellenson, president of Hebrew Union College-Jewish Institute of Religion, who is a friend and colleague. “She has an innate charisma that attracts people to her and a depth of soul that expresses itself to the world. She is a prototypical redhead, fiery and vivacious, with an incredible zest for life. Lipstadt is not the child of survivors, though her middle name, Esther, memorializes an uncle’s sister who died in the Holocaust. Her father, a matzeva (cemetery monument) salesman, came to New York from Germany during the Depression; her Canadian-born mother collected and lectured on Judaica. Both self-educated, her parents transmitted a love of learning to Lipstadt and her sister, Helene, an architectural historian, and brother Nat, a Wall Street investor. “Judaism was the beat of the drum to which our family marched,” says Lipstadt, who grew up in New York’s Upper West Side and in Far Rockaway, attending day schools and Jewish camps. She counts her parents and her childhood rabbi, Emanuel Rackman, as her role models. “I had the best cheering squad at home,” she says, and Rackman, now chancellor of Bar-Ilan University in Israel, provided the ideal combination of learning, commitment and involvement in the larger Jewish world. Raised Modern Orthodox, today she is more comfortable in egalitarian services. She enjoys swimming, exercising, hiking and walking. 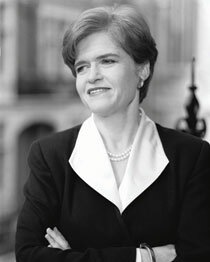 Lipstadt received her bachelor’s degree in 20th-century American political history from City College of New York and her master’s degree and Ph.D. in modern Jewish history from Brandeis University. From 1966 to 1968, she studied at Hebrew University, an experience that not only cemented her understanding of the Holocaust, Israel and anti-Semitism, but also provided the opportunity for one of many gutsy journeys. When Lipstadt learned she could only visit the Old City of Jerusalem—then still in Jordanian hands—by obtaining a passport free of an Israeli visa, she traveled to Greece to get one and then continued on to Istanbul, Beirut, Damascus and Jordan. Everywhere, she was dogged by the fear that she would be identified as a Jew. Lipstadt began her teaching career at the University of Washington in Seattle and then moved to the University of California, Los Angeles. In 1987, Israeli professors Yehuda Bauer and Yisrael Gutman asked her to conduct a research project on Holocaust denial. Since she was convinced deniers were just “fringe extremists,” she questioned the need for the study, characterizing it as the “equivalent of the flat-earth theory,” she recalls. Given the prominence of the scholars, however, she agreed. The research led to her book—and the rest is history. Her 13 years at Emory have been marked by awards for outstanding teaching, including a student government award and the Emory Williams Award, based on nominations from alumni for professors who have had the most impact on them. In January 2005, Lipstadt traveled to Poland with the White House delegation to the commemoration of the 60th anniversary of the liberation of Auschwitz. She served as a consultant to the United States Holocaust Memorial Museum and is now a member of its Committee on Conscience, which stimulates grass-roots action to halt crimes against humanity; the committee has been active in publicizing the genocide in Darfur, Sudan. it is 3 in the am. i am reading your book about the trial. i can’t put it down i am in winston salem, n.c.